The Redfern Gallery is pleased to be exhibiting at Masterpiece London 2018, on stand B10. Among the works on display are a life drawing by Frank Auerbach, completed while teaching at Camberwell School of Art in 1963, and which has been in a private collection for over 50 years; sculpture by Lynn Chadwick, Henry Moore and George Kennethson; and a selection of paintings to mark Paul Feiler's centenary, including the large-scale 60s canvas, Grey Receding. Works by fellow St Ives artists include oils by Peter Lanyon, Patrick Hayman and Bryan Wynter. 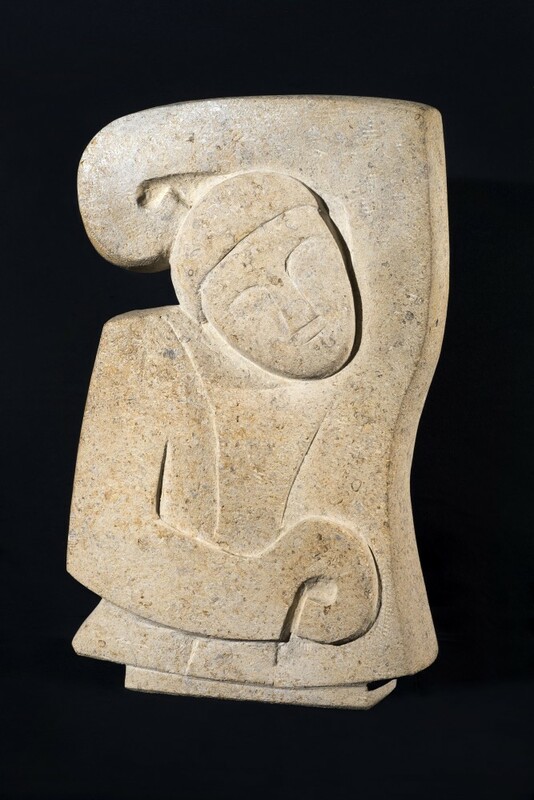 The particular piece by Hayman, Mother and Child with a Tree, was shown in the Tate Gallery's landmark exhibition St Ives 1939-64, in 1985, as well as a touring Arts Council retrospective of the artist in 1990. William Gear's Interior with Sculpture, which was last seen in a British Council touring exhibition of Canada in 1952 along with work by four other artists including Ben Nicholson and Matthew Smith, will also be on view. This was one of three paintings that Gear made in preparation for the Festival of Britain, 1951. New work will also be shown for the first time, such as Paul Emsley's chalk drawing of a black Rhinoceros. Masterpiece 2018 runs from 28 June to 4 July, at The Royal Hospital Chelsea.